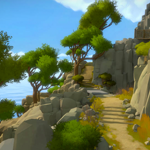 You guys told me you wanted me to continue with The Witness and so I shall in this live stream. Wow, wow, wow this game just got very hard!!! First it has me solve puzzles blind and then moves on to having me solve mirrored versions of puzzles upside down. This is easily the hardest game I have ever played. Dark Souls 3 has nothing on this. The only game that drove me this crazy was Super Meat Boy.